The Kairos Automatic – Rose Gold is a limited-edition timepiece featuring our first ever automatic movement. 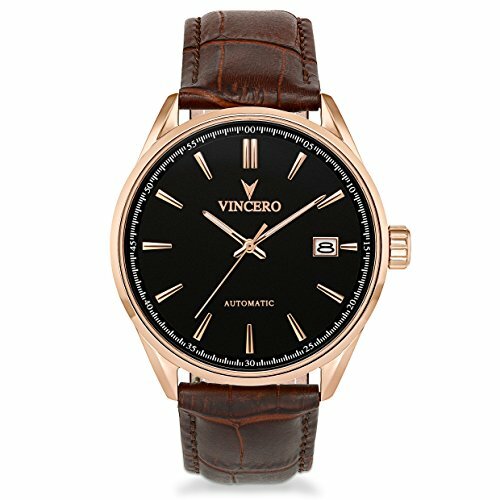 This watch is scratch and water resistant but also comes with an Italian genuine leather band. The Kairos Automatic has a rose gold casing, black dial, and brown leather band. CITIZEN MIYOTA AUTOMATIC MOVEMENT – This watch features a very precise Japanese Miyota Automatic movement. ITALIAN LEATHER BAND (22mm) – Our premium leather bands are cut from genuine Italian calf leather and built to withstand over time. They are 22mm wide and are Interchangeable with an easy release button on the back.